As you drive down Corelli Road, a typical narrow south-east London suburban street in SE3, you would never imagine that the discreet and unassuming school entrance to The Halley Academy could open up into so much land and wide open green space behind this limited facade. The Academy sits peacefully within its tranquil setting of nearly 13 acres (55,000 m²) of ‘green belt’ land, bordered by residential housing. These calm, tree-lined roads and avenues form a haven around the Academy and belie the fact that we are just a stone’s throw from the bustling triangle of the main arterial roads of Shooters Hill, the South Circular and the A2 Rochester Way, which all service the Academy well with their good public transport connections. Even with 1,150 students on our roll it never feels cramped in the Academy, thanks to our expansive premises. 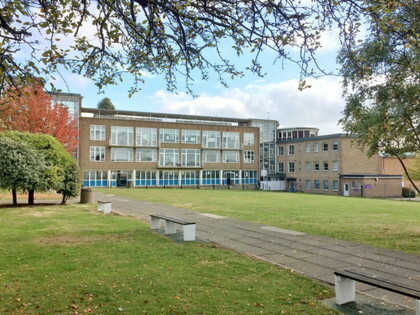 The school buildings are spread out generously over the estate, with two sizeable and distinctive grass quadrangles in the centre of the main school blocks where the students can play and socialize (and generally "let off steam") outdoors during their break times. 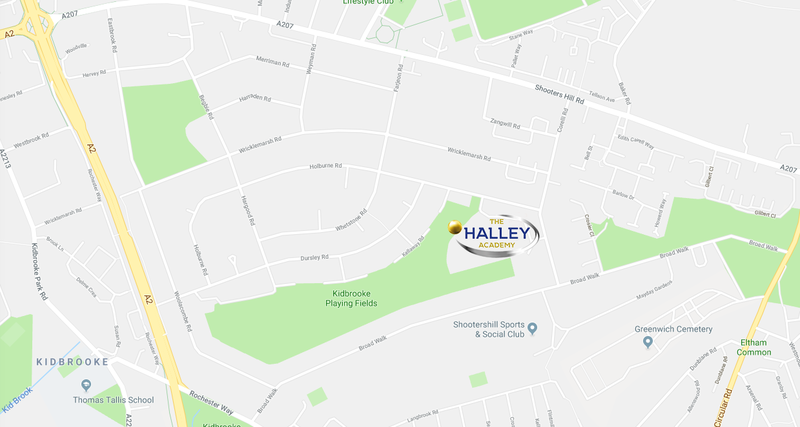 We also enjoy the luxury of our own dedicated playing fields adjoining the main school buildings, which incorporate three full-size soccer pitches. So when we hold our annual Academy Sports Day our students and staff are spoilt by only having to walk a few yards to the wide-open expanse of our adjoining playing field. Our Academy buildings were constructed by leading architects back in 1954 and are sufficiently noteworthy to be given “listed status”, testimony to their character and practicality (see “Our Heritage web-page for more details, click on link on the left). 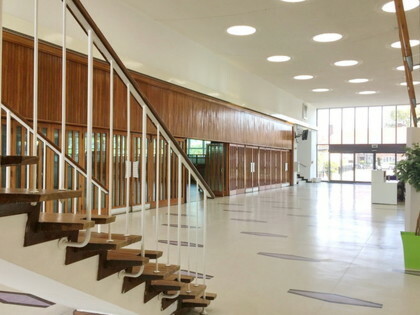 Our Main Hall is both impressive and spacious and, along with our light and airy Entrance Foyer, is available to hire for functions, such as weddings and community events (click on link on the left to learn more). 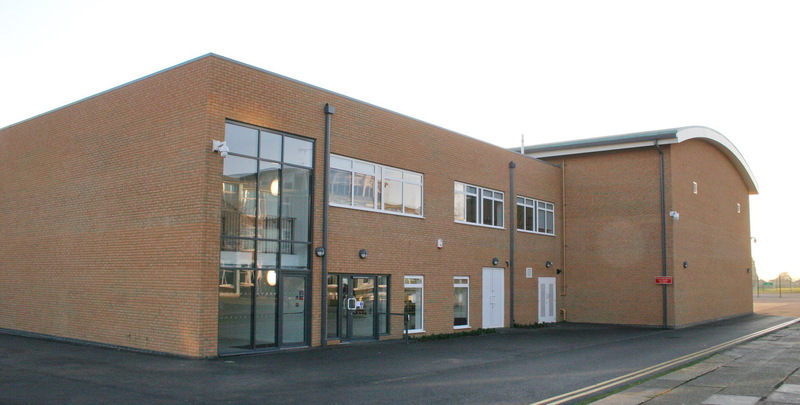 Recently we completed the construction of a new state-of-the-art £2.6 million Sports Centre, which includes a full-size indoor Sports Hall as well as a Dance Studio and Fitness Studio. We also have our own Sixth Form College on-site, with places available to students who have not studied at the Academy during their Key Stage 3 & 4 years. Please click on the link on the left if you are interested in finding out more. We extend our warm welcome to you to come and visit the Academy and our grounds at any time.